Children in mining and smelting towns who are exposed high levels of lead, arsenic and cadmium are more than twice as likely to have developmental disorders than the national average. They also perform lower than neighbouring peers on school tests, our research, published today in the journal Environmental Pollution, reveals. Children living closest to Broken Hill’s lead and zinc mine who had the highest levels of exposure to toxic air, dust and soils consistently had the lowest literacy and numeracy scores in years three and five. We found similar results in Australia’s two other major lead mining and smelting cities: Mount Isa and Port Pirie. Exposure to lead and other toxic metals during early childhood can harm the growing brain. Progress is now being made to reduce exposure in the three mining towns. But for children already exposed, the damage cannot be reversed. 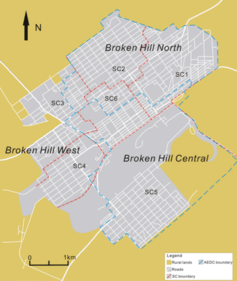 Broken Hill in western New South Wales, has been home to continuous lead mining since 1884. One of the first reports suggesting that ore extraction and processing (including smelting in the early days) caused poisoning was published in 1893. A systematic, annual program of testing children’s blood lead showed a generally decreasing level between 1991 and 2009. However, after 2010 the trend was reversed. By 2014, one in five children exceeded the already too-high blood-lead goal of ten micrograms per decilitre (10 μg/dL). Levels above this value were investigated. While some of the apparent rise in children with high blood levels may be due to greater participation in NSW Health’s annual monitoring, the result clearly reflects the persistence and pervasiveness of the environmental lead exposure problem in the city. In May 2015, the National Health and Medical Research Council (NHMRC) lowered the childhood blood lead intervention level from ten to five micrograms per decilitre. This reflects the global view that there is no minimum safe level of exposure. This new guideline means around 50% of children under five years old in Broken Hill have a blood lead in excess of the new intervention value. A similar percentage of children in Port Pirie and Mount Isa are also affected. These children are at risk of permanent damage to the brain. Indigenous children typically have higher blood lead exposures than Caucasian children so are at greater risk. How does lead affect the brain? The effects of lead exposure are greatest in unborn children and those aged under five years. This is because their growing nervous and skeletal systems require high levels of calcium to develop and function properly. Lead (Pb2+) mimics calcium (Ca2+), so children living in a lead-rich environments are at risk of absorbing lead in place of calcium. Previous research focused only on lead exposure in Broken Hill, but our recent research revealed that other trace metals and metalloids were also abundant in easily accessible dust deposits in children’s playgrounds. Of these, arsenic and cadmium cause similar neurological, developmental and other health problems. Our latest research examined arsenic, cadmium and lead in aerosols, dusts and surface soils in Broken Hill and their impact on children’s behaviour and educational performance. We used the publicly available National Assessment Program – Literacy and Numeracy (NAPLAN) and Australian Early Development Census (AEDC) data for Broken Hill children. NAPLAN evaluates children in years three, five, seven and nine for reading, narrative writing, spelling, grammar and punctuation and numeracy. AEDC assesses children in their first year of school for their physical health and well-being, social competence, emotional maturity, language and cognitive skills, communication skills and general knowledge. We focused our analysis on primary school children and assumed they attended the school in their catchment. We took into account that the city’s Catholic schools draw children from across Broken Hill but excluded children who reside on remote sheep or cattle stations. We also took into account differences in socioeconomic status. Blue lines: AEDC local communities; red lines: primary school catchment areas. Dong. C. et al. 2015. Environmental Pollution. Children from school catchment five (SC5) had the highest levels of contamination and the worst NAPLAN and AEDC outcomes. Children in school catchment three (SC3) – which had the lowest soil arsenic, cadmium and lead concentrations – performed better (see below). 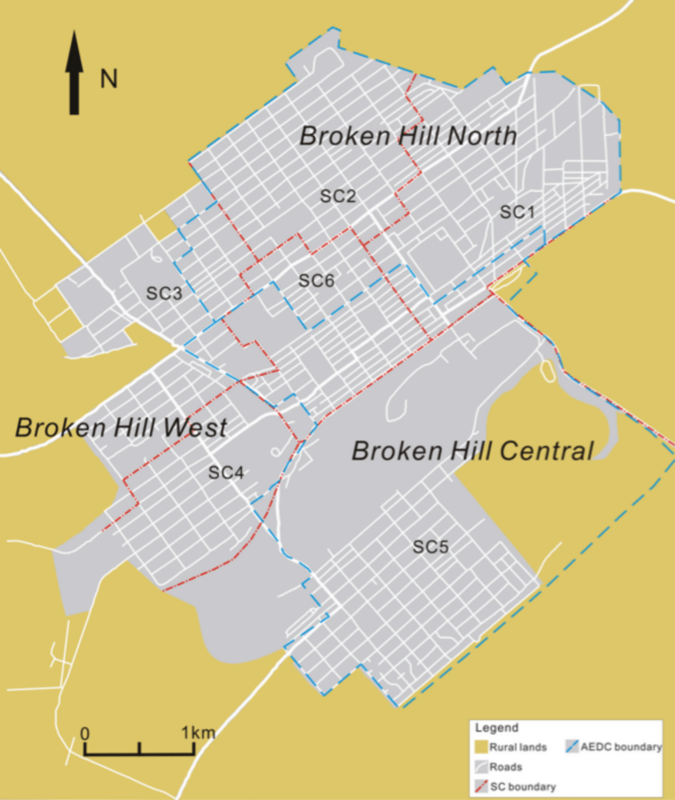 Children from Broken Hill central area (encompassing school catchments five and six) – the area with the highest environmental contamination – were 2.6 times more likely to have vulnerabilities in two or more of the AEDC developmental areas. This graph shows the modelled relations between soil lead levels in Broken Hill and NAPLAN scores. 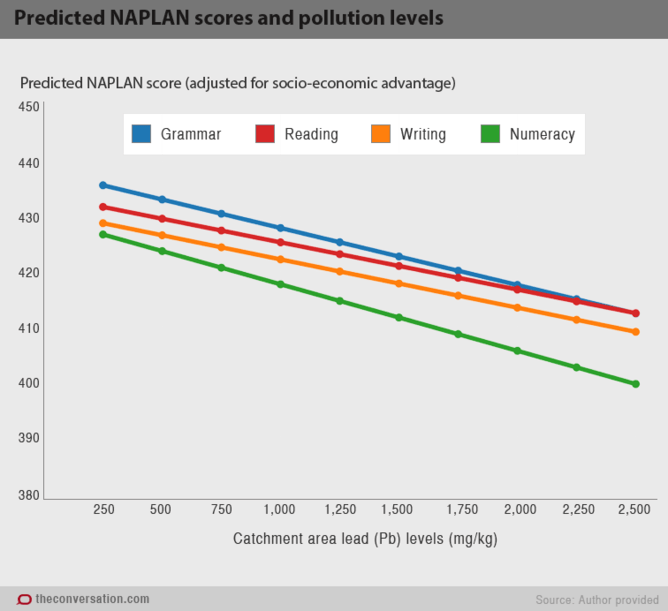 Predicted NAPLAN school scores (adjusted for socioeconomic advantage) versus soil levels. The relationship is similar for arsenic and cadmium: NAPLAN scores decrease with increasing soil metal values. The difference between children attending schools in areas with the maximum soil lead risks compared to the lower soil lead risk is a loss of 20 NAPLAN points (or about 5%). After adjusting for socioeconomic disadvantage, the difference is around 60 points (or about 14%). We found a similar phenomenon in Australia’s other two main smelting and mining communities of Port Pirie and Mount Isa. These impacts are consistent with other similar studies in the United States and a recent study of Port Pirie and Broken Hill children. Industry and government must ensure blood lead levels are as low as possible and that all modifiable toxic exposures are prevented. And they’re making some progress. At Broken Hill, the New South Wales Government announced in February funded a five-year A$13 million program to address the issue of lead contamination and elevated blood lead levels among local children. In South Australia, the A$500 million Port Pirie transformation project will see a cleaner smelter and remediation of contamination in the city in years to come. At Mount Isa, the Glencore owned mining company will have spent more than A$600 million on a range of environmental improvements by the end of 2016. Hopefully, these investments will result in better outcomes for the next generation of children growing up in these toxic metal-rich communities – and we’ll be keeping an eye on the efficacy of the programs. However, it’s very likely that the current environmental regulatory limits will not be strict enough to prevent the significant exposures identified in our study from reoccurring.